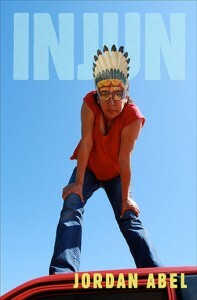 the long poem that is Injun. The book contains the poem as well as peripheral material that will help the reader to replicate, intuitively, some of the conceptual processes that went into composing the poem. Though it has been phased out of use in our “post-racial” society, the word “injun” is peppered throughout pulp western novels. Injun retraces, defaces, and effaces the use of this word as a colonial and racial marker. While the subject matter of the source text is clearly problematic, the textual explorations inInjun help to destabilize the colonial image of the “Indian” in the source novels, the western genre as a whole, and the western canon.